Our school is a popular inner-city and diverse one-form entry that serves its local community and the Parish of St Marks. As a Church of England school, we celebrate our Christian values that underpin much of what we strive to achieve. These values are also linked to our school vision and are evident not just visually around the school, but also in terms of how we treat each other, notably with mutual respect and courtesy. Our stable staff team are fully committed to ensuring that children are given the best possible learning opportunities by providing high quality creative, fun and challenging learning experiences. This includes all children taking part in events and activities both in and out of school to support learning. We have a strong committed Governing Body who challenge our school to be the best it possibly can be. We are neither complacent in attitude nor action and know what we need to do to make further improvement. I and the entire team of teachers and support staff are committed to ensuring that our school motto ‘Every Child, Every Chance, Every Day’ is fully realised in all that we aim to achieve for our children. 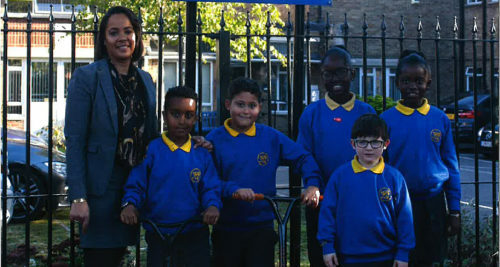 I firmly believe that providing a safe, happy and purposeful learning environment for our children will go some way in helping us to secure the levels of success that together, I aspire to achieve so that we continue to thrive as the great school that we are in the heart of our local community.